Does your Christmas tree have a theme? My Christmas tree’s theme is “kid creations”. I am a sucker for all the cute handmade and picture ornaments. My kids paint or create several ornaments every year, and they are my favorite ones on my tree. If you saw my reindeer hands post, you got some tips on how to craft this season (and survive) with little ones. Here is a craft you can try out those tips. 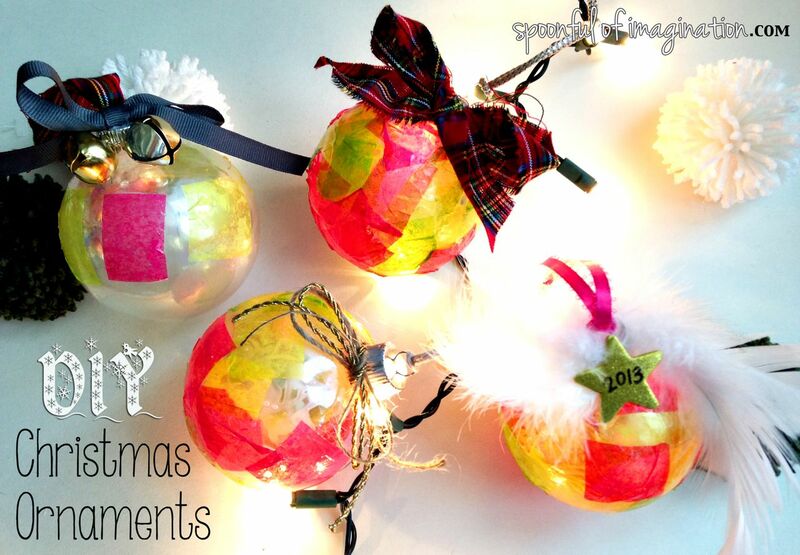 My Christmas Ball Ornaments are easy enough for a toddler to make. 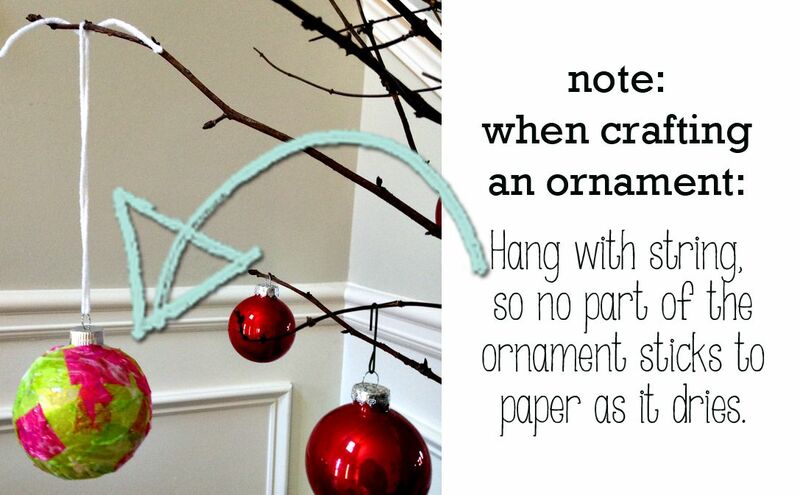 Start with some ball-shaped ornaments. 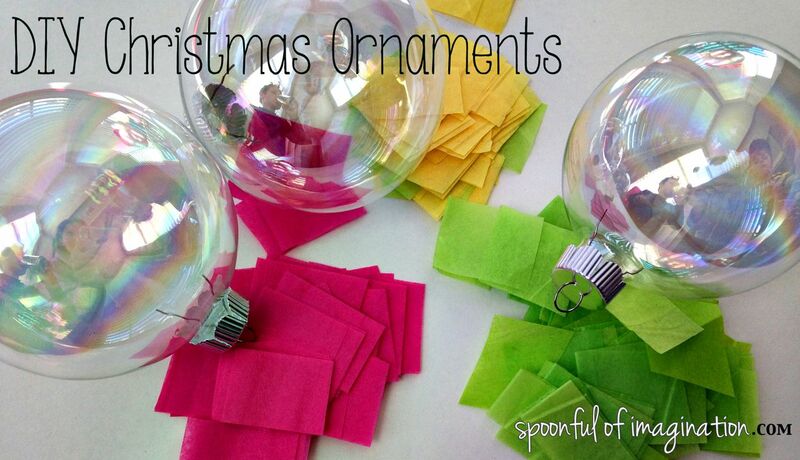 I used glass ornaments, but I would think plastic would work really well with this method as well. I cut up a bunch of tissue paper into about 1″ long squares or rectangles. 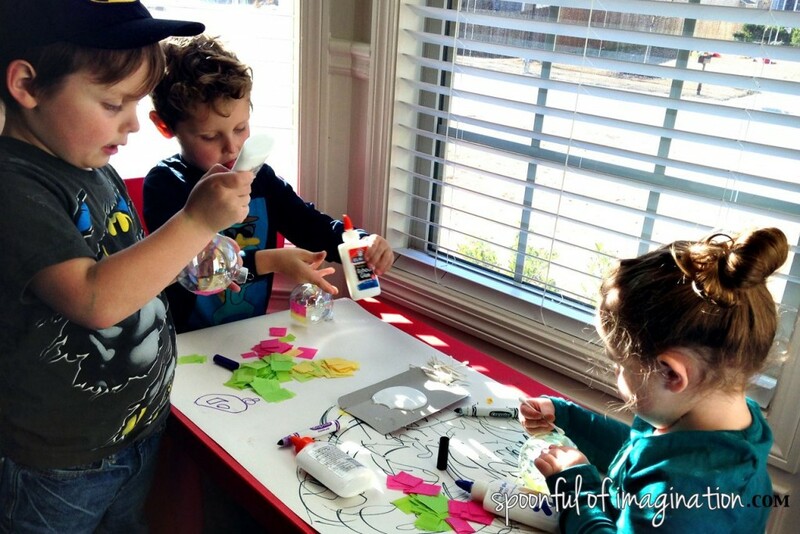 I gave my kids some glue and showed them how you put a dab of glue on the ornament and then stick a piece of tissue paper on it, and let them run with the craft. A full collage of paper tissues over lapping one another is ideal, but my J simply wanted to create a row of paper around his ornament and be done. That works too. 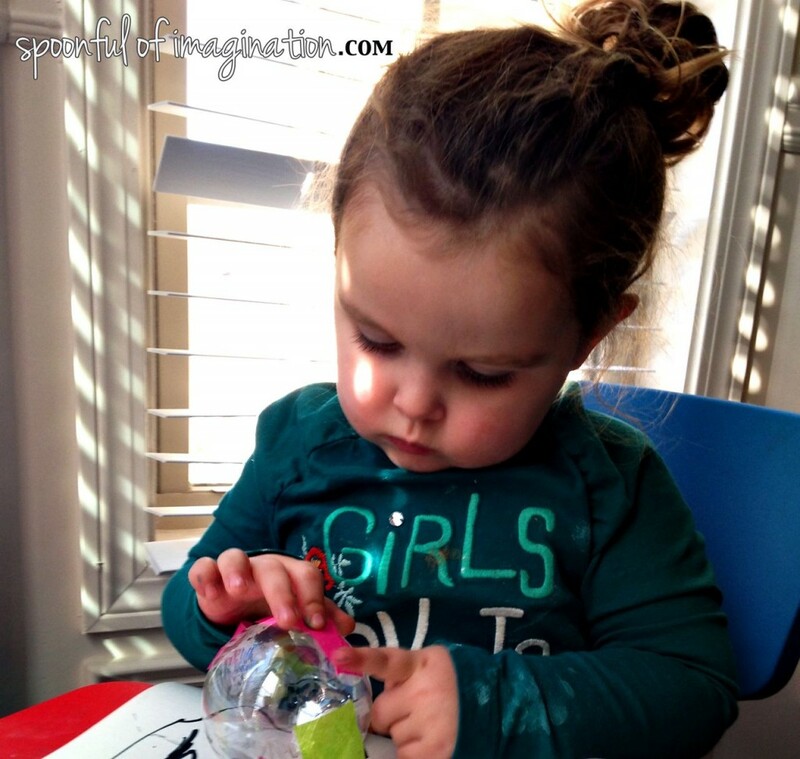 Reagan used a Q-tip to apply the glue on her ornaments which was easier for her little hands than to squeeze the glue bottle like the boys opted to do. 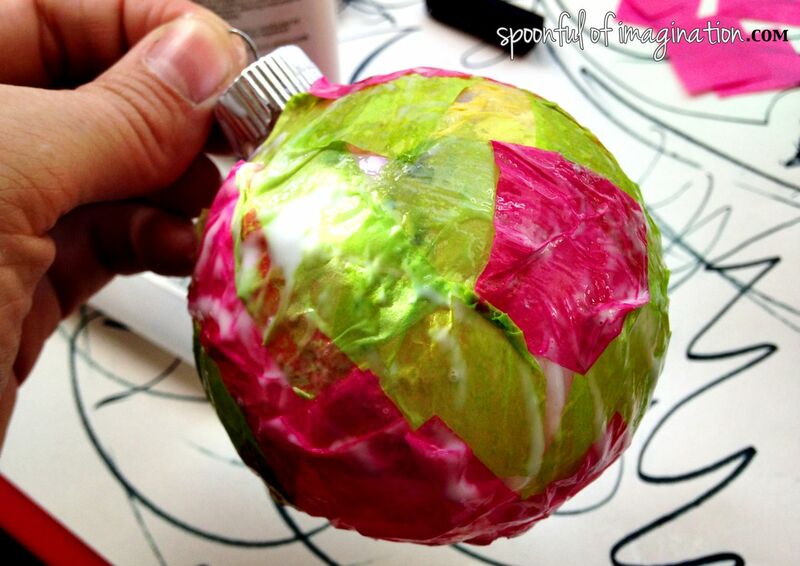 Once my kids said they were done with their ornaments, I applied glue all over the outside of the tissue paper. This step pushed down all those fly away pieces sticking up and got them to lay flat on the ornament. Our ornaments were then wet, so I quickly slipped in some string and hung them up to dry. 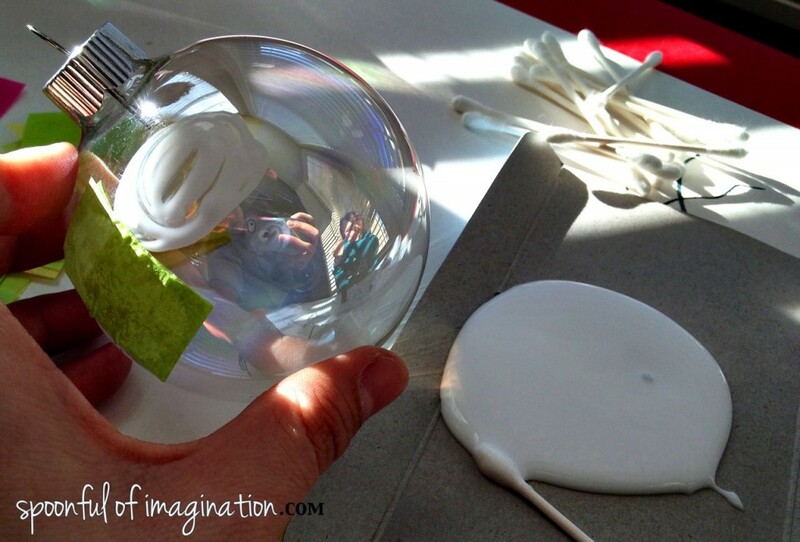 This prevented any part of the ornament getting ruined and not drying onto another surface. 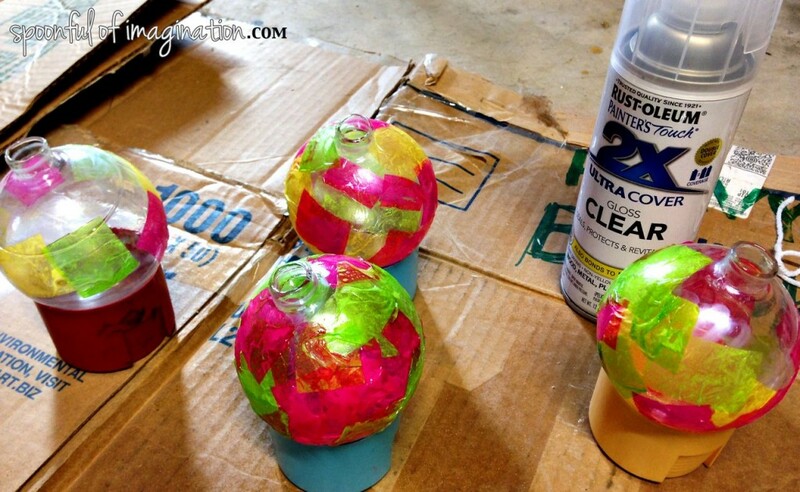 Once the ornaments were dry, I sprayed them with my favorite clear shiny gloss spray from Rust-oleum. I love the shine that this spray added to our ornaments. Our ornaments were then done and ready to be given as gifts or hung on the tree! 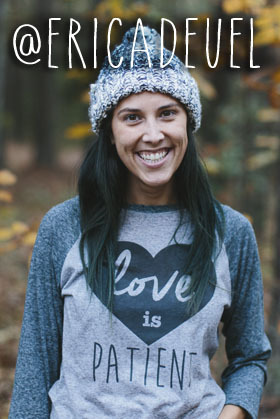 Soooo have you gotten to craft or make any presents yet? I hope you are able to unplug, relish in the normal simple things, and enjoy this season.